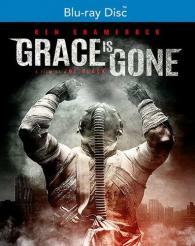 Grace Is Gone presents a story of a man (Jericho) trying to protect his family in a post apocalyptic world filled with violent gangs and a deadly, incurable virus. We follow Jericho as he tries to rebuild a normal life with his daughter, grandson and newly found extended family in their small farm community. During a normal day into town to trade supplies with other communities, Jericho and his daughter (Gracie) cross paths with a pillaging gang called the Sandflies who are led by their ruthless leader, Black Jack (played by Ken Shamrock). A fight erupts, forcing Jericho and Gracie to run, leaving Black Jack scarred with fury and rage, hell bent on hunting them down at all costs.